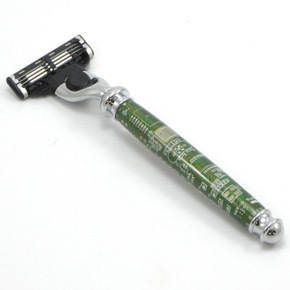 Next time you think of throwing off old circuit boards, remember their creative and cool reuses. 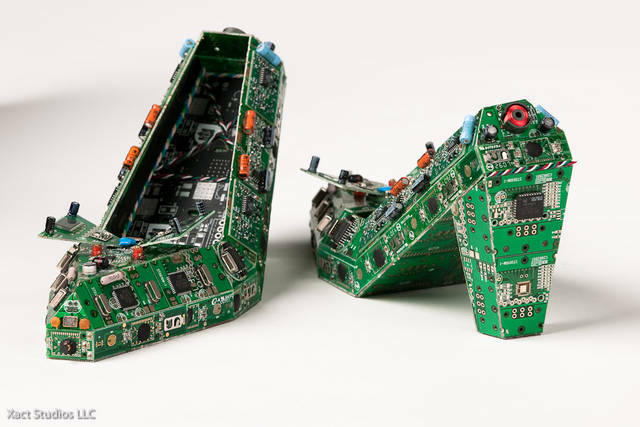 Circuit Board Shoes: Cool shoes made by Artist Steven Rodrig from printed circuit boards. 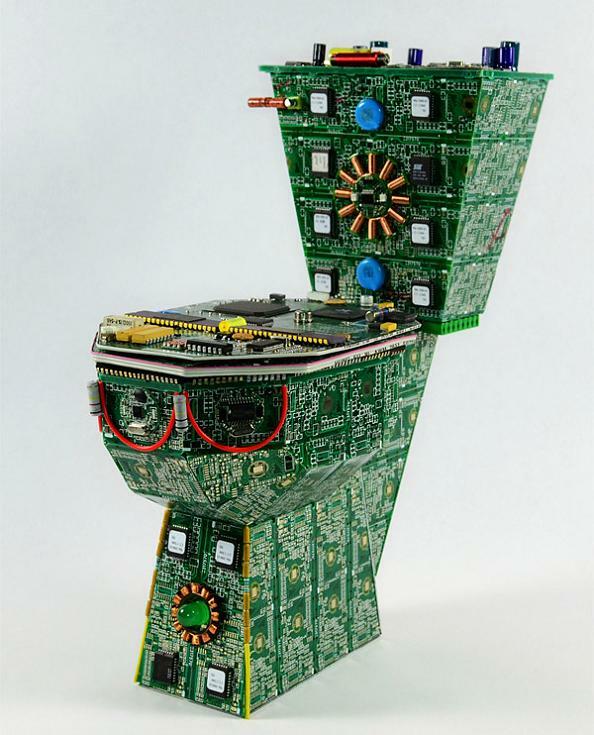 The Data Toilet: This circuit board toilet is just 12-inches tall, and 5-inches wide. 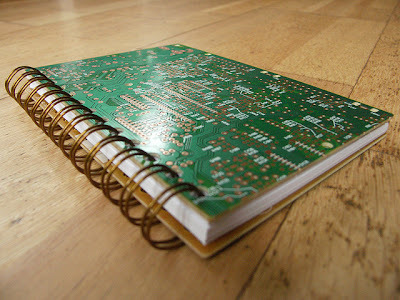 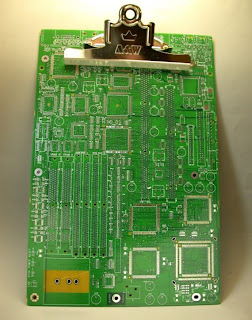 Circuit Board Notebook: Creative ring bound notebook made from an old circuit board. 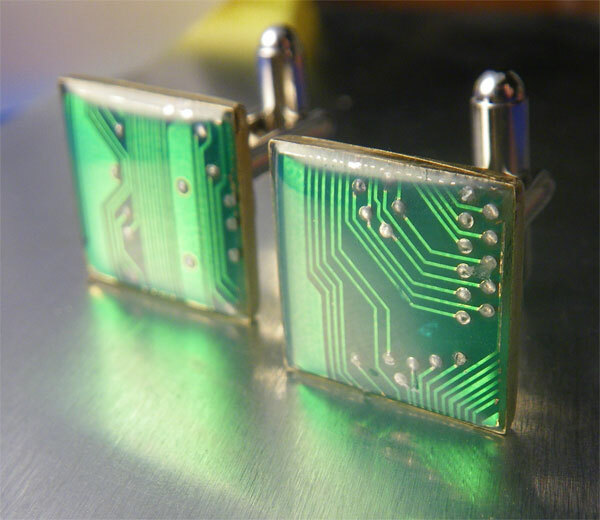 Circuit Board Cufflinks: Jewelry artist Amanda created these circuit board cufflinks. 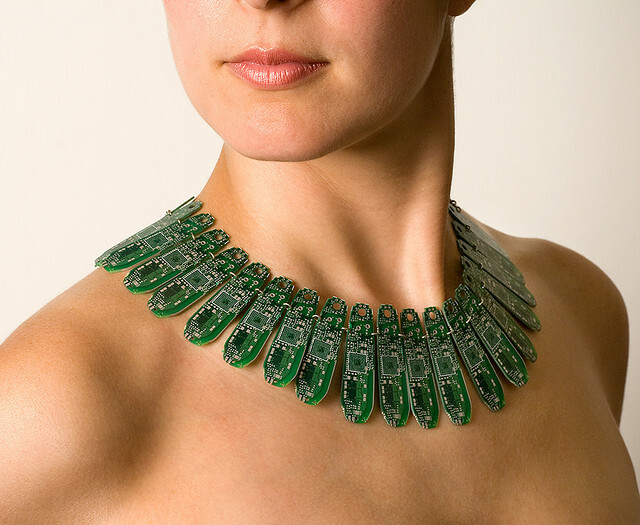 Circuit Board Necklace: Designed by C Koch; its made from old circuit boards, sterling silver and magnets. 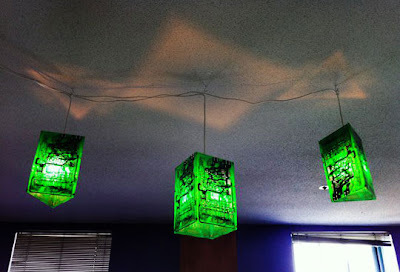 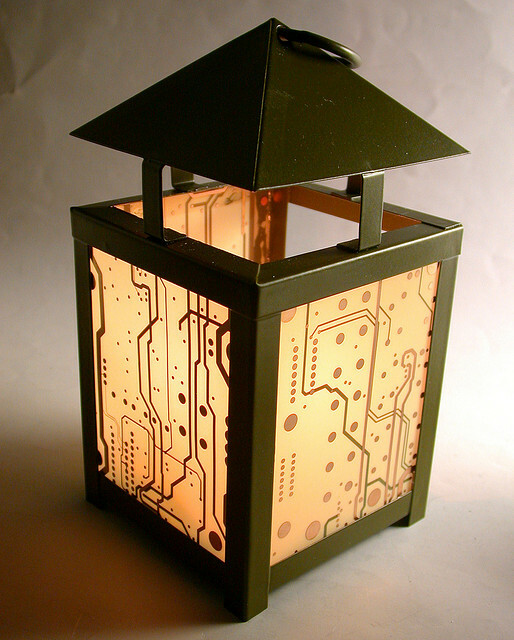 Circuit Board Candle Holder Lantern: Use your old circuit boards to make a vintage retro lantern. 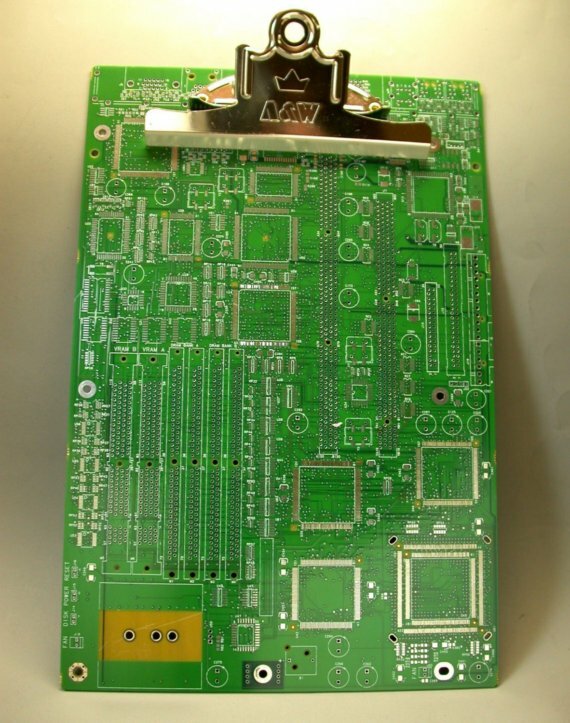 Circuit Board Car: Can you believe this? 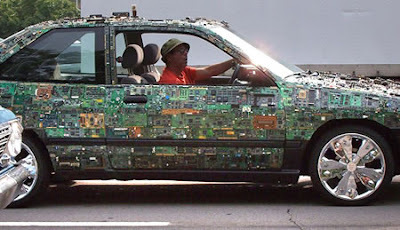 It's a car decorated with old circuit boards. 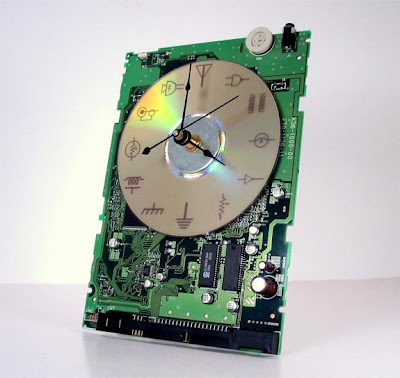 Circuit Board Clock: Made from old circuit board, the numbers have been replaced by a variety of schematic and logic designs. 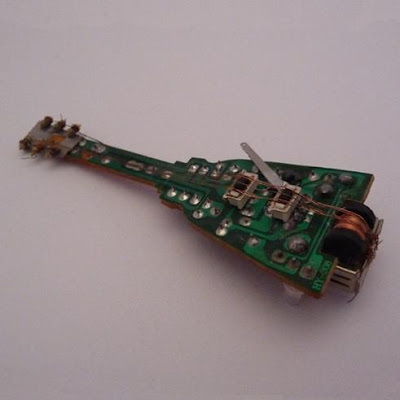 Circuit Board Guitar: A cool miniature electric guitar made from the components of an MP3 player. 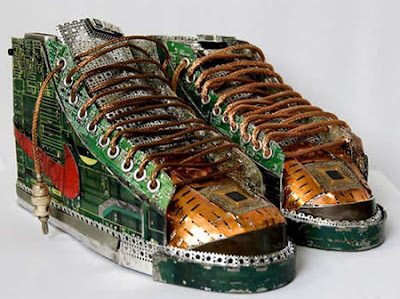 Circuit Board Sneakers: G Dishaw created these sneakers from old computer parts.